The De-Solv-it Sticky Stuff Remover has a gel formulation, which allows it to be applied to vertical and inverted surfaces. 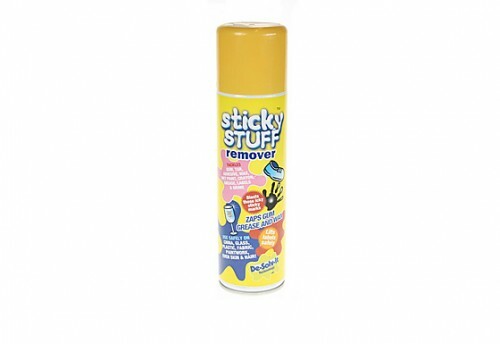 It quickly removes 'sticky' deposits like chewing gum, tar, grease and oil from glass, wood, metal, worktops and tiles. Ideal for use in the home, workshop or for car cleaning.